The volume of phone calls made with the drivers has decreased by half. The speed of processing customer inquiries and quality of our service have improved as communication speed got faster. 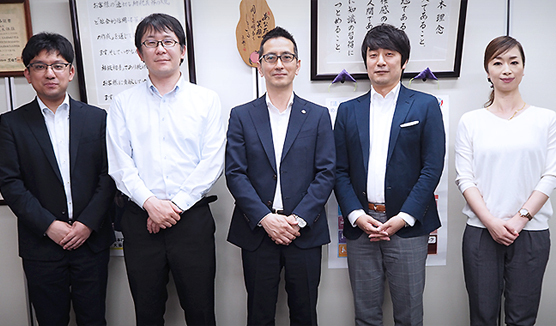 Based in Chiba City, Chiba, Nakamura Sangyou Corp. provides comprehensive transport and logistics services based on the company concept of ‘Transportation from the customer perspective’. 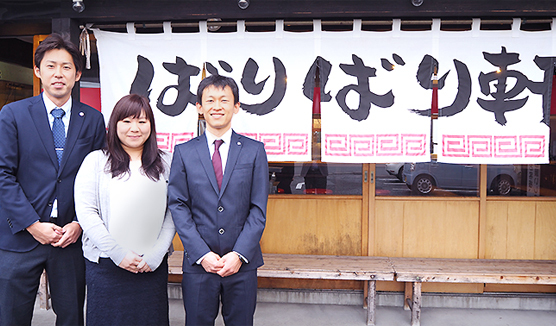 The company also operates event and warehouse business, mainly in the center of transporting housing materials in Kanto region. They introduced LINE WORKS to have flawless communicate with drivers, who drives all over the country. 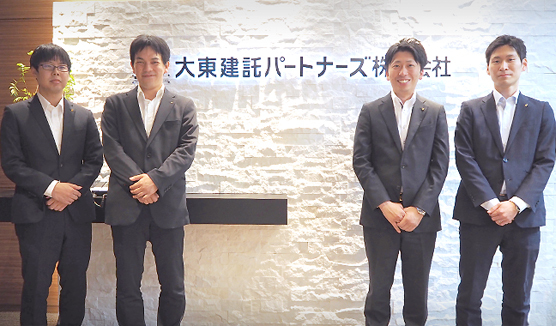 We interviewed Mr. Yoshida, Ms. Takakura, and Mr. Tanaka to hear the problems they encountered before the introduction and the changes made after the introduction. Tell us about your company and individual roles. I am in charge of systems-related works, and also general affairs. I am in charge of office works at the Headquarters. I am in charge of truck management at the Headquarters. What were the issues before the introduction of LINE WORKS? In our company, it is daily routine for drivers, who move across the country, report to the headquarters, and headquarters sends a map to the driver the next destination. We mostly used phone calls or SMS to do so. It is very important for us to keep track of moving route and behavior of each driver since the moving situation changes on a daily basis. It took a great amount of time when contacting with the drivers through phone calls since we have about 50 drivers working everyday. On delivery day, if our customer calls us either to confirm the delivery time or change the delivery time, we have to send information about such issue to the driver in a prompt manner. At times, however, we could not reach out to the driver promptly, and we had to feel nervous as if the time takes too long. Not being able to share photos with the drivers was the most uncomfortable limitation that we faced. If we take photo of the map and send it to the driver, it can deliver information much accurately than call the driver and explain about the next destination for the delivery. 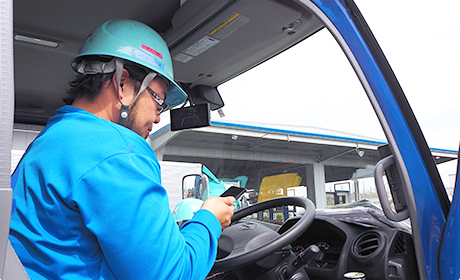 It was also uncomfortable to deliver detailed information through phone calls, such as notifying the driver about the road conditions, in which big trucks cannot enter. Moreover, if we find damaged parcel, we need to contact headquarters and they contact the customer. However, there were issues which cannot be explained solely by verbal communication. Therefore, we sometimes had to use personal email and messenger accounts to send customer photos. What was the decisive reason that drove you to turn to LINE WORKS? It is true that we have considered introducing a new business communication tool to our company in the past. But, we could not easily introduce the tool because we thought that company communication tool should easily be used by the employees and should also be sharable. Therefore, we ended up with a conclusion that LINE WORKS, a similar tool to LINE, is the most suitable tool for introduction. We were also positive about LINE WORKS since we can operate the tool in both smart phone app and PC browsers. Available features, including Calendar feature, share information in a group level feature, and most importantly, send photo feature were the decisive factors which led us to turn to LINE WORKS. What did you consider the most when introducing LINE WORKS? 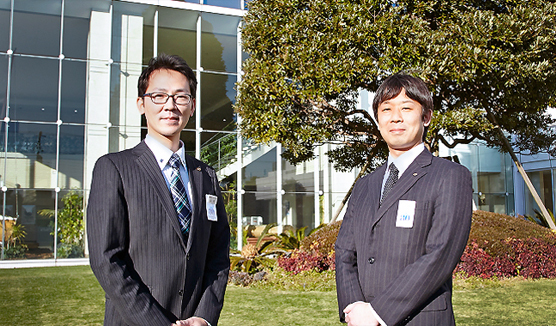 After the introduction decision was made, I took part in actual introduction work for each employee. We were able to reduce the burden in the administration by sending out documents on installation and password setting to the drivers and let them set up the account on their own. Due to its similarities interface with LINE, we found it easy to use. About a week after, all the employees successfully finished their account setting. Tell us the specific use cases for LINE WORKS. We archive address information which are yet to be updated, such as a new building site with not street address or a road information in which big trucks cannot pass by. 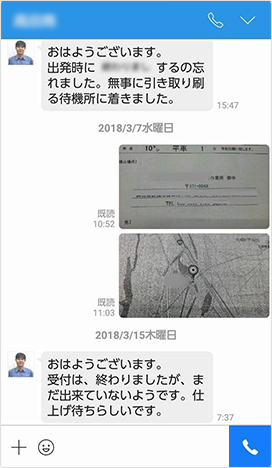 LINE WORKS has made it convenient to send map image to the drivers. Even when we find damage on the material, it is now possible to clearly notify the customer even about the damage that is hard to identify at a glance in detail by sending photos. We also like LINE WORKS in a perspective of we can keep a record of communication in order to prevent problems from occurring in the future. We are sending photos of requested documents that specify which parcel to deliver, and where to deliver. Requested documents, which are sent from the customers, should be delivered to the drivers in real-time. In case of long-distance delivery schedule, there is a case where the loading schedule is not determined when returning from the departure point. In such a case, the driver must contact again after departure. Instead of verbal communication, if we send photographs taken through the messenger, we can communicate more clearly and we can also share information quicker than before by using LINE WORKS. 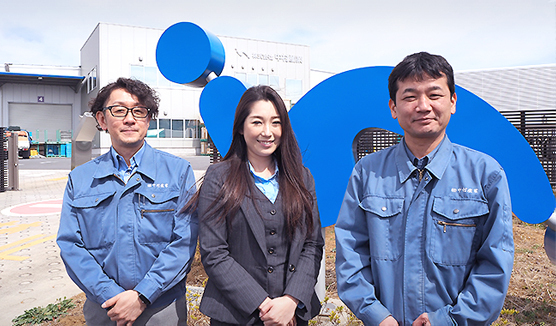 Using LINE WORKS Calendar feature, employees working in the logistics center are sharing information such as customer visit information, parcel arrival condition, vehicle inspection information, and non-usual vacation schedule and so on. Previously, we had to stand in a line in order to copy the vehicle inspection certificate. And it was very analog way of managing the vehicle inspection schedule. After LINE WORKS introduction, however, we can now register which and when the vehicle will be inspected and everyone can share the schedule. I am sending out information regarding website updates or medical checkup using LINE WORKS Messenger feature. Read notification is helpful to me since I can figure out whether all the employees read the message or not. What are the effects after the introduction of LINE WORKS? Up until now, each individual had to call one another even when working together. But today, multiple employees can communicate simultaneously using LINE WORKS group chatting room. Due to this, we feel like our teamwork has become greater than before. With LINE WORKS sticker, communication is becoming more active and therefore, the work progresses smoothly. After LINE WORKS introduction, rate of phone call usage reduced by half. We rarely use SMS thesedays. As we can share information accurately and promptly, the problems such as ‘we did not hear it’ or ‘we did not know’, which we used to have are eliminated. LINE WORKS Calendar feature enables us to send notifications to important information. With this, all the employees gained a habit of checking notifications every morning, endeavoring not to miss any of the schedule. And this definitely is a positive change made to our company. Overall processing time on customer inquiries has reduced as we introduce LINE WORKS. As we can either directly send photos which received from the drivers to the customers or ask drivers to take photos again if the resolution of the photos is not clear enough, the overall processing time has reduced, while accuracy has increased. This field is all about ‘deduction’. It is natural to send customers’ items to the place as specified at the designated time. If delayed, the deduction happens. ‘Next level of logistics’ policy, which our representative director promotes includes speed and quality of transport. To do so, information sharing is the most important factor. As we are sharing information in a prompt manner, the possibilities to prevent ourselves from deducting to minus in advance has increased. After LINE WORKS introduction, not only working efficiency has improved, but also quality of the service we provide. 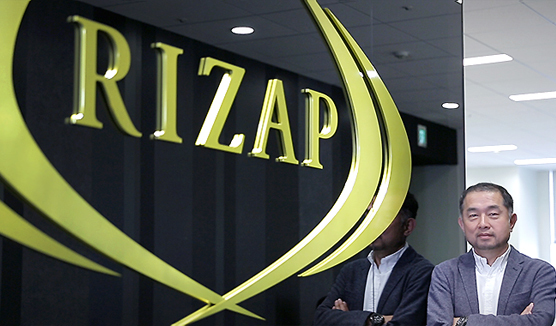 We think it is a great evolutionary change at the company level. 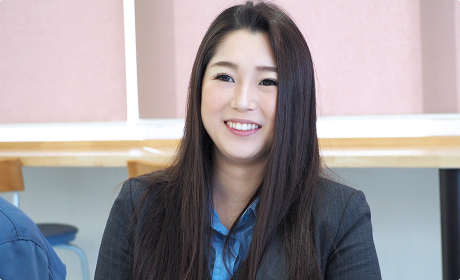 ※ All details, affiliations, and positions specified were gathered at the time of interview. As communication speeds up, a purpose of meetings has changed from discussion to decision making and verification. 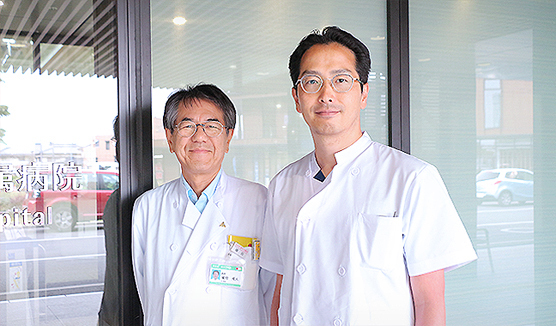 Moreover, a relationship between employees, who do not frequently meet each other at visiting rehabilitation massage field, become stronger than before. Emergency response required in nursing facility can be completed in 10 minutes. With this, we support the resident’s safe living and smooth on-site operation. We are dreaming of organizational culture reformation through casual communication. As the production work related to creatives became more efficient with LINE WORKS, the productivity of the whole company has dramatically improved. With LINE WORKS, it is possible to contact large-scaled stores through LINE. ‘The way of working’ has also changed as we are able to use traveling time efficiently and flexibly. 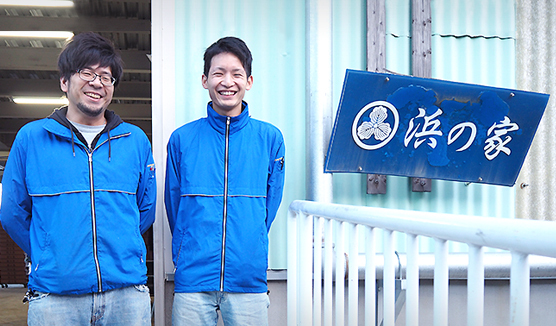 Izumi Driving School Co., Ltd.
We congratulate students on passing license examination with the LINE WORKS stickers. When adjusting the driving lesson schedule, communication between the customer and the instructor has become smooth by utilizing a flawless linkage with LINE. 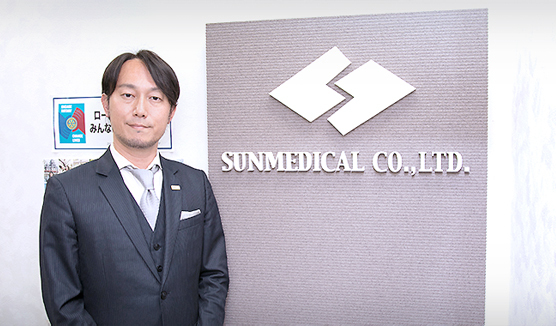 We are expecting LINE WORKS to be a turning point for improvement of employee consciousness. 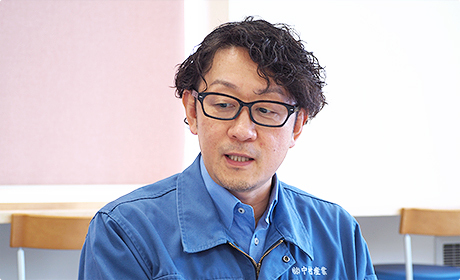 While boasting a long and honorable history for 69 years, the company did not hesitate to introduce LINE WORKS and has been continuously improving their task performance. Connection between LINE WORKS and LINE has enabled us to shorten the time took for selling, buying and contracting the car. 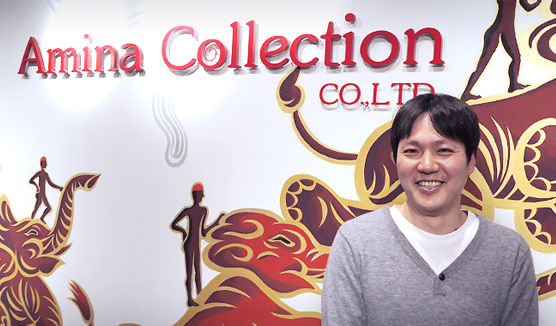 By being closer to our customers, we became the store in which gained better trustworthiness. 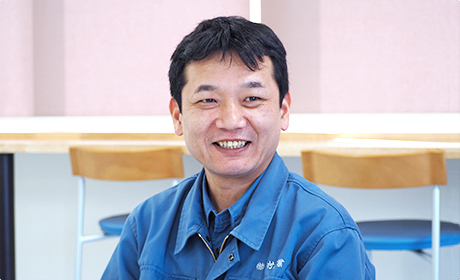 Communication with employees who are dispatched to client company has been improved with LINE WORKS. IT has also improved the sense of belonging, as well as the problem solving ability of the employees. 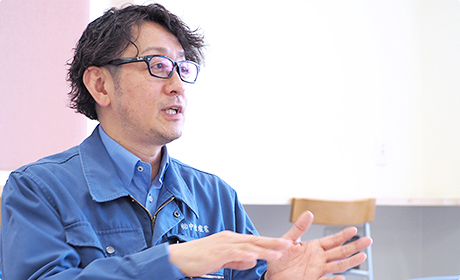 LINE WORKS has been fully introduced to all employees and part-time staffs from 180 shops and headquarters of the eyewear brand 'Zoff'. There was 'Zero inquiry received about the introduction' and communication and know-how sharing became more actively held. We have introduced LINE WORKS as a communication tool to utilize for remote working. With this, we have been able to work flexibly by enabling smooth and efficient communication even during telecommuting or field working. 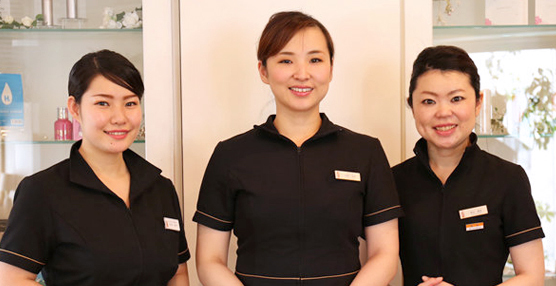 We have introduced LINE WORKS to nail shops. LINE WORKS enables to send nail design or schedule tables across all employees and this increases the responsibility of the store staff member. The key to quick settlement of LINE WORKS is that ‘introduction was made through the consideration of communication flow'. It enables insightful sales activities by sharing the trend of competitor companies in real time. Support requesting time during peak season has reduced by 1/4. As chances of not getting the reservations have decreased, we now being able to receive more reservations from our customers. Slack is like a light meeting in an open space, LINE WORKS is used like a meeting to be held in purposeful members and meeting rooms. We are actively communicating by properly identifying tools according to their purpose. We identify the ever-changing market conditions and share information in real-time in order to immediately incorporate it into store operations. 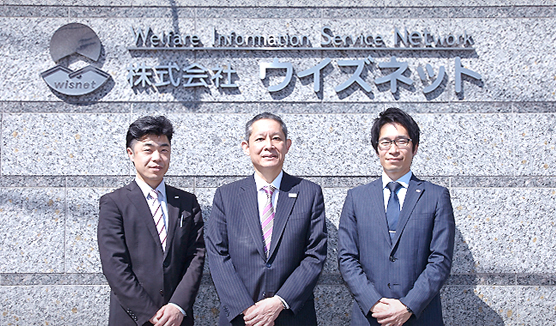 Information exchange has overwhelmingly speeded up with LINE WORKS, and it also contributed to greater communication and motivation. LINE WORKS has contributed growth of the company by reinforcing the open-minded company atmosphere with its compatibleness. 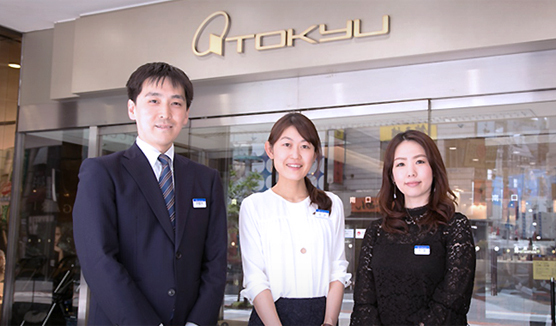 The level of solidarity among employees to enhance customer satisfaction has strengthened than before. Thanks to LINE WORKS, communication efficiency between headquarters and stores has definitely increased. What took 3-day has now shortened up to only few-hour long. Daily updated operation manual can now be promptly delivered to the stores. 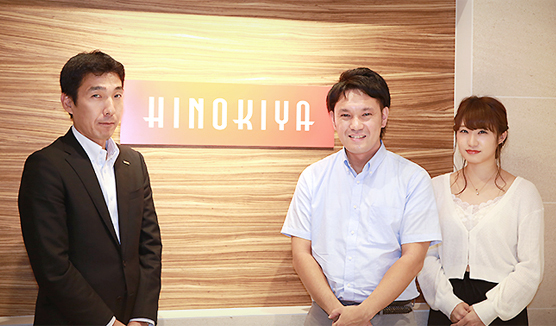 LINE WORKS was introduced to Hinokiya Group as a tool to communicate with customers visiting house exhibition halls. As a result, acquisition of contacts doubled, and the amount of conversations after initial contact has increased three times over. This has led to differentiation over competitor companies. Morning calls reduced from over 200 to less than 30. LINE WORKS enables delivery confirmation in real time, reducing mistakes and improving teamwork. LINE WORKS is a must in the field of emergency medical care, serving as an innovative tool in providing speedy yet high-quality medical services. The separate usage of personal LINE and work-oriented LINE WORKS helped improve communication and reduce stress for our employees. The rate of survey response has increased up to 85%! The response doubled the speed than paper survey. As we use LINE WORKS for communication with prospective employees, this naturally prevented them from withdrawing their company application. 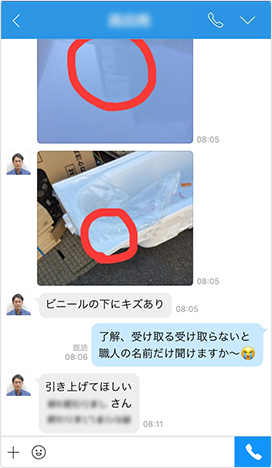 As rental building management employees and business partners are able to send and receive photos smoothly through LINE WORKS, it became unnecessary to actually visit the sites. Working style has also evolved into pleasant way, which is to share and check information promptly regardless of time. The quality of communication ‘became convenient in every aspect’ has improved, and store management as well as warehouse operation has changed efficiently. Corporate culture of ‘everyone participates regardless of positions’ has also strengthened positively. Emergency response required in nursing facility can be completed in 10 minutes. With this, we support the resident's safe living and smooth on-site operation. We are dreaming of organizational culture reformation through casual communication. Since we can confirm ‘finishing touches’ of the construction site with photos, it is possible to issue accurate work instruction without visiting the workplace. By efficienating workflow, we managed 25% more cases in the peak season than the last year, and ultimately led us to improve our achievement record. LINE WORKS is perfect tool for small to medium-sized companies to make their first step toward IT. Save 30-minute everyday only from writing business log report! As communication among employees can be held regardless of the place, changes have been made to our daily workflow. 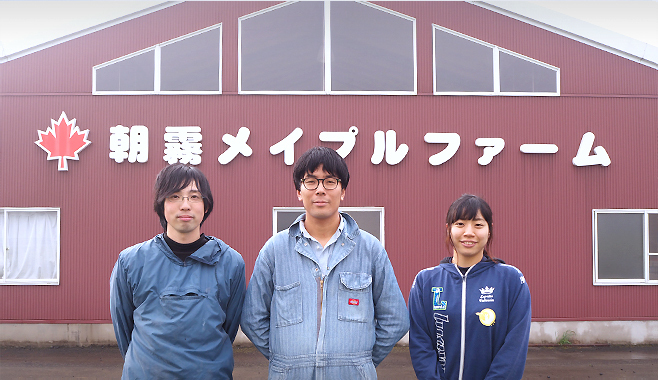 Asagiri Maple Farm Co., Ltd.
By sharing and checking up calves' birth in real time, the calves' fatal death rate has been reduced from 10% to 5%. As communication between employees strengthened, organizational ability has also improved.